Asima Silva of EnjoinGood.org, along with Margaret Watson and Lisa Fager, co-founded the Worcester Chapter of the Daughters of Abraham. The intent is to allow for open and honest discussion among different groups to help break the cycle of fear. 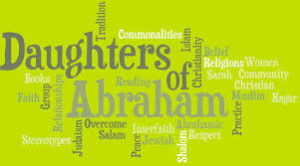 For more information contact daughtersofabrahamworcesterma@gmail.com.